Gaiaspace is the first album of new Mooch recordings in some years, and by golly this may be the best one yet. Headed up by Stephen Palmer (Blue Lily Commission, sci-fi novelist), Mooch music is a brand of space rock characterized by electronica influences on the one hand, floating space and ambience on the other, and with the rock occupying various scattered points along the axis. There's 7 tracks on the album and each one deserves mention. An intense wall of symphonic electronica forms the basis of the opening track, "Emerald", with ripping guitar licks adding the body and direction, and all manner of spaced out synth and keyboard work adding color and working alongside the guitar. Mooch do a great job of developing their set theme in an exploratory way, resulting in a nearly 10 minute piece of cosmic progressive space rock. "Meteorologue" is next and is described in the liner notes as a depiction of the weather. It's much more electronica based, and has a jazzy, sometimes Caribbean feel. I love the combination of accessible melody, chill-out grooves and fun freaky bubbling space synths. And Maxine Young's occasional chanting vocals are a nice extra touch. "Massive" is another deep space electronica driven piece with a seductive melody and dancey grooves, but with excellent stinging efx'd guitar licks. This may be the shortest song on the album but there's LOTS happening! The nearly 16 minute "Flow-Thing" is noted as being inspired by Klaus, and judging by the music I think it's safe to say Schulze, though there's powerful shades of Ash Ra Tempel here too. We've got classic sequenced patterns, multiple keyboard melodies, prog symphonics, and a banquet of alien space electronics. But there's also more of that great tasteful guitar that makes "Emerald" such a cool tune, and in parts injects a strong Manuel Göttsching feel to the music, and at others has a spaced out frenzy that reminds me of Greg Kozlowski of Architectural Metaphor and Secret Saucer. Absolutely awesome! At over 17 minutes "Indigo Sky Trip" is the epic track of the set and a seriously cosmic journey. It's got all the aforementioned elements wrapped into one, but with some spacey ethnic elements not unlike Palmer's other project, Blue Lily Commission, and more of that spacey prog rock feel that Mooch are so good at. What a great balance between dreamy brain massage and head bopping rhythmic pulse, all happening in deep space surrounded by the stars. Cross Ozric Tentacles with Klaus Schulze and throw in a dash of trance and techno and you might get something like this. Far… OUT! "Galactic Oceanic Consciousness" gets my thumbs up for best song title on the album, and opens with guitar patterns that once again recall Manuel Göttsching. But those are quickly joined by floating space electronics and some bits with a more experimental edge. And when the acoustic guitar kicks in it adds a nice raga vibe to the music, at which point we're swimming in a wildly varied stew of musical parts that fit together oh so lusciously. Finally, closing the set is Noo!, which the liner notes say is about cultural diversity and tolerance. This is another tune that in part resembles Blue Lily Commission. A solid track that brings this wonderful album to a close. 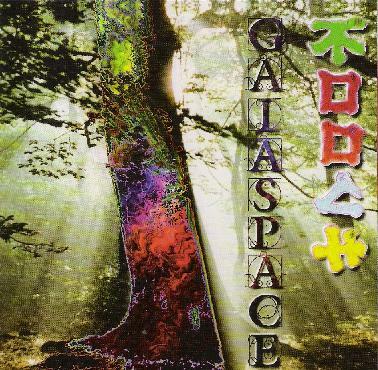 At the end of 2006 I'm sure Gaiaspace will be high on my best of list. Recommended. Hear Mooch at the Myspace site: http://www.myspace.com/moochspacey. Visit the Dead Earnest web site at: http://www.btinternet.com/~deadearnest.